Megalith comes from the Greek word `Mega’, which means large and `Lithos’, stone.Megalith also portrays an object which consist of rocks formed in particular shape for a purpose which has been used in describing building that have been built by people of an ancient era in various locations of the world. Varieties of huge stone have been found as megaliths in construction of different structures that took place during the Neolithic period and that which continued through the Chalcolithic and Bronze Age. Several theories have come up regarding the methods used in the prehistoric megalithic engineering in the form of modern civil engineering methods used in the megalithic construction. One of the most amazing factors of the megaliths is its unusual size which has given some of the sites a mythological stand where local traditions consider that they had been fashioned by gods or giants. There are various tales with regards to the megaliths, describing single large structures of stones which had been thrown or lost by giants and have been described in particular as their graves or ovens or houses. The connection of giants with megaliths dates back to the thirteenth century where the oldest reference to tumuli gigantis has been found in written documents. The most amazing mystery is the moving and using of huge stones which have been weighing over hundreds of tonnes where the smaller stones could have been exceedingly convenient and efficient. 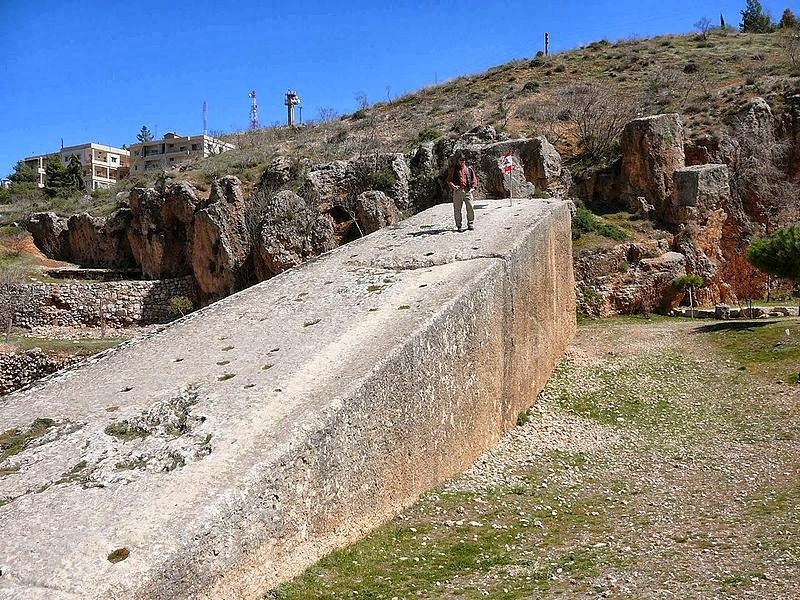 Generations of archaeologist, engineers, explorers, historian as well as tourist are left perplexed with these great mysteries and have been speculating on how the ancient people movedthese massive tons of blocks of stone with the help of primitive methods and tools. Besides moving them, the accuracy of positioning them is mind blowing and while the question is simple the problem is quite complex. The use of such massive stones in several constructions like the Baalbek, Giza, Stonehenge, Carnac, Jerusalem, to name a few, indicates a level of organization and skill. Several theories have come up regarding the methods which were adopted in the prehistoric megalithic engineering especially in the form of modern civil engineering system imposed during the megalithic engineering. In recent prehistoric period, this civilization adopted sophisticated technology by inconveniently quarrying huge stones as well as transporting them to inconvenient distance to some to the most inconvenient locations and then piling them into temples on the mountain scale. Many agree that the Great Pyramids of Egypt together with other prehistoric megalithic structures around the globe were constructed on these colossal magnitudes which no ordinary human being would have done. 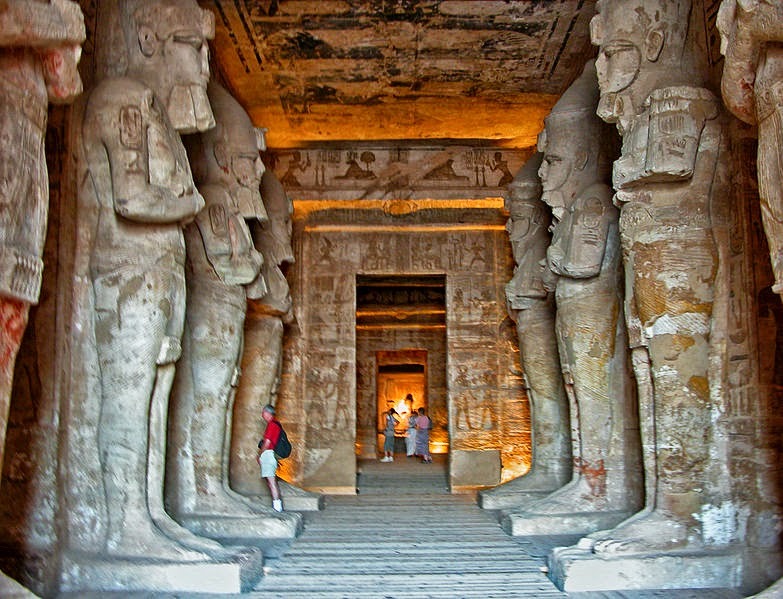 The monument at Abu Simbel even today had to be cut to pieces since even the heaviest machinery was unable to manage to move them a few hundred yards away from the Nile waters which were rising behind the Aswim Dam. The actual structure method and technology adopted by the ancient people is puzzling as well as fascinating to modern man and an in-depth study has revealed an astounding level of technical skill and knowledge shown by ancient men. Some examples are that they quarried the stone needed without using any explosives recognizing different area or weaknesses in the rock, using fire to crack the stone or driving in wet wooden wedges into cracks in rock walls. Besides they also used different types of fibres woven and plaited in various patterns to make ropes which were used in a variety of uses like the movement of heavy objects. In ancient period, several large monuments and megalithic structures were built across the world which was presumed to be built by different cultures who constructed pyramids and other pyramid like structures. Megalith means `giant stone’, which include Stonehenge, the giant stone figures on Easter Island, the Great Pyramids, the massive obelisks in Puma Punku – Bolivia including much bigger ones in Baalbek, Lebanon and beneath the Temple Mount in Jerusalem. There are certain walls consisting of very heavy interlocking stone blocks of various sizes which have been seamlessly placed together forming a puzzle without the use of any composite building material. This stonework all over the globe is so massive and precise that in spite of sophisticated modern technology, it would be impossible to duplicate them or even resemble them. There are several mysteries with regards to the construction of these megalithic structures and many were constructed with the use of massive and very heavy stones. Many have debated on their efforts for going into such trouble of using these heavy stones instead of using lighter and smaller stone, or if there was any specific reason behind it. 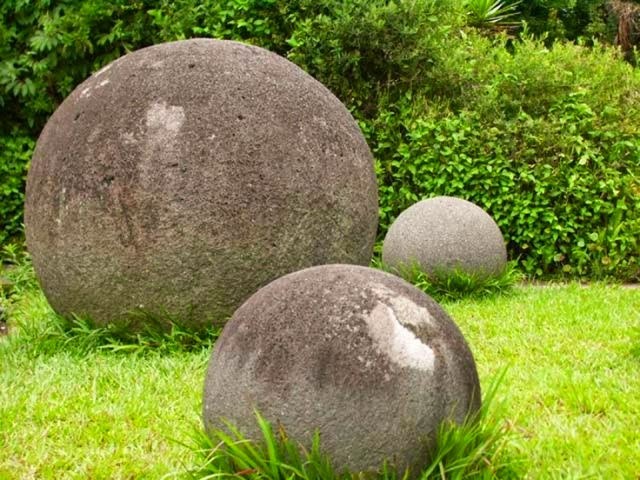 The mysterious giant stone balls of Costa Rica in Diqius Delta are clearly man made though their purpose and who created them is unknown. Majority of these stones are made of granoduirite, which is a hard igneous stone and their size ranges from the size of a tennis ball to a huge 8 feet in diameter weighing around 16 tons, with its spherical precision and smoothness of amazing perfection which would be impossible to recreate them without the use of power tools. Another amazing fact on this mystery is that it is also found in several other areas of the world which include New Zealand, Malta including Easter Island. There are speculations with regards to these stone balls that these were once star maps, aligned to planets and stars, if they had never been moved. Prehistoric megalithic site namely Stonehenge, situated in the English Amesbury in Southern Wiltshire was developed by a culture which left behind no written records and archaeologists are puzzled on the purpose of the Stonehenge structure. According to some it could have been used as an astronomical observatory, a place for ceremonies and ritual use, or a healing center. Many archaeologists around the world are of the opinion that the megaliths are the outcome of many hands that used primitive tools over the years while intervention theorists disagree over this issue. They find it absurd to believe that primitive people who with the help of fiber ropes and stone tools could cut some of the hardest stones on earth and build giant structures with such precision which is unmatched in present times. 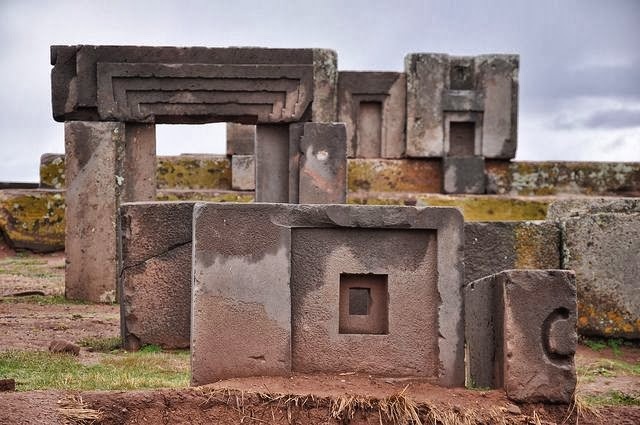 The Tiwanaku site known as Puma Punku is Aymaran and when translated means `Door of the Cougar’ are huge stone blocks, some of the heaviest block weighing 440 tons which were supposed to be part of a huge ancient architectural advanced structure. Its walls were made of solid multi ton blocks of diorite, an extremely hard rock which were interlocked and carved with accurate shape and angles with some even having indication of tool marks resembling advanced techniques like drilling and frasing. Stone cutters experts believe that it would be difficult for humans in modern times to acquire this precise cutting technique using primitive tools. In the city of Cusco, Peru, enormous stone blocks of different shapes form the walls of the complex known as Sacsayhuaman which are fitted together like a jigsaw puzzle. It was earlier thought to be a fortress though researchers are not sure about it anymore. The weight of some of these stones are around 500 tons and 27 feet in height where these types of interlocking stones are also found in various other megalithic structures in Peru – Machu Picchu, Ollantaytambo, Egypt and Easter Island. 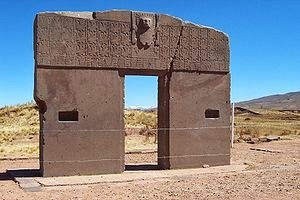 Within the mountain ranges of Hayu Marca in Peru, mysterious structures around 35 km from Puno to Lake Titicaca, was recently found in the year 1996, though locals already knew of its existence. It resembles a carved rock which measures around 7 meters high with 7 meters wide with a 1.5 meter wide niche at the center giving the impression of a door. According to local legend, these structures including Tiwanaku were known as `Portal to the Gods’, or the Portal to Heaven which was constructed by Lord Muru, a ruler from the land of Mu – an ancient sunken continent once situated in the Pacific Ocean. It was also known as the `devil’s door by the locals since some claimed that people disappeared and in some cases reappeared near the door and yet others related of strange tall men accompanied by glowing balls of light walking through the doorway. The purpose behind this structure is a mystery and some speculate that there were possibilities that it may have been used as a quarry like the strange quarry in Ollantaytambo which was located in southern Peru. Evidence show that the stones are cut out of the rock and were carved in such a manner leaving behind a smooth finish with traces of horizontal lines at the bottom as though it had been cut with laser technology. In Baalbek, Lebanon, a complex temple was built by the Romans which were built on a foundation of the biggest and heaviest stone in the world that were carved and placed accurately into position. Blocks of around 10 meters length, 5 meters high and 3 to 4 meters deep were found, weighing around 450 tons per block and above these megaliths blocks, three blocks much heavier, weighing more than 1000 tons known as Trilithons or Triliths were placed. In another stone quarry neighboring it, the biggest stone weighing approximately 1158.696 tons, called the `Stone of the Pregnant Woman’, was found while another ancient monolith in the same quarry was discovered in 1990. This surpasses the dimension of the Stone of the Pregnant Women with its estimated weight of around 1242 tons. All these structures have given room for thought on how these megaliths have been transported and placed in perfect position with the help of manpower, ropes or primitive tools.